It's another short week. The Senate is out. The House will vote to align standards for the review of mergers and acquisitions and a bill to prevent travel by foreign combatants. 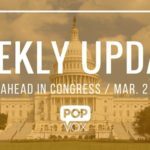 Also up: Encouraging NSF investments in projects for women in STEM and bill to encourage women to pursue careers in aerospace, space science and exploration, POPW/MIA recognition at the Capitol, and improving the process for foster care placement and adoption across state lines. The bill would eliminate differences in the procedures used by the Federal Trade Commission (FTC) and the Department of Justice Antitrust Division in challenging pending acquisitions and mergers, addressing concerns that a proposed M&A transaction is subject to different processes, depending upon which federal antitrust agency reviews the transaction (the Department of Justice or the Federal Trade Commission). The bill calls for the National Science Foundation to support entrepreneurial programs for women in STEM. The bill directs the NASA Administrator to encourage women and girls to study science, technology, engineering and mathematics (STEM) and pursue aerospace careers by supporting three existing initiatives: NASA GIRLS and NASA BOYS, Aspire to Inspire, and Summer Institute in Science, Technology, Engineering and Research. It also calls for a plan for how NASA can facilitate and support current and retired astronauts, scientists, engineers and innovators to engage with K-12 female STEM students. September 11, 2010: NASA astronaut Tracy Caldwell Dyson, Expedition 24 flight engineer, looks through a window in the Cupola of the International Space Station. 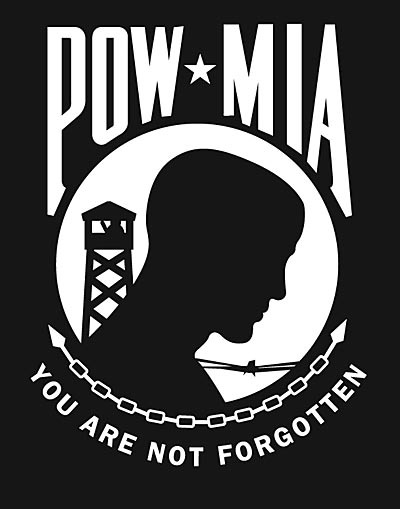 The House will vote on a bill instructing the Architect of the Capitol to obtain a chair featuring the logo of the National League of POW/MIA Families to be placed in the U.S. Capitol. This bill directs the Department of the Army to ensure that the cremated remains of persons who served as Women's Air Forces Service Pilots are eligible for interment in Arlington National Cemetery with full military honors. The bill extends a provision of the Servicemembers Civil Relief Act (SCRA) that prohibits foreclosing on a servicemember’s house for one year following the servicemember’s return from active duty. (The proivision expired December 31, 2015). States currently use a paper-based administrative process to safely place children across state lines, keeping children waiting while caseworkers make copies of case files and mail them to the potential receiving state. A six-state pilot project, the National Electronic Interstate Compact Enterprise (NEICE) standardized how cases are processed across jurisdictions and saw substantial reductions in the time it took to move children into homes across state lines and in administrative costs. H.R. 4472 would incentivize more state to adopt NEICE. The House will vote to concur in the Senate Amendment to H.R. 4721 – sending the temporary FAA extension to the President's desk. The bill extends FAA authorization (set to expire on March 21, 2016) to July 15, 2016. This bill passed in the Senate on Jul 16, 2015 . Directs FEMA to modernize the integrated U.S. public alert and warning system to help ensure that under all conditions the President, federal agencies, and state, tribal, and local governments can alert and warn the civilian population in areas endangered by natural disasters . The bill encourages foreign partner engagement for capacity-building initiatives abroad to combat travel by terrorists and foreign fighters and identifies areas for adjustment to align efforts with risk-based priorities.It calls for the Department of Homeland Security (DHS) and the State Department to accelerate the provision of the following systems to foreign governments: U.S. Customs and Border Protection's Automated Targeting System–Global, and the State Department's Personal Identification Secure Comparison and Evaluation System. DHS may provide, with specified exceptions, excess DHS nonlethal equipment and supplies (as well as related training).